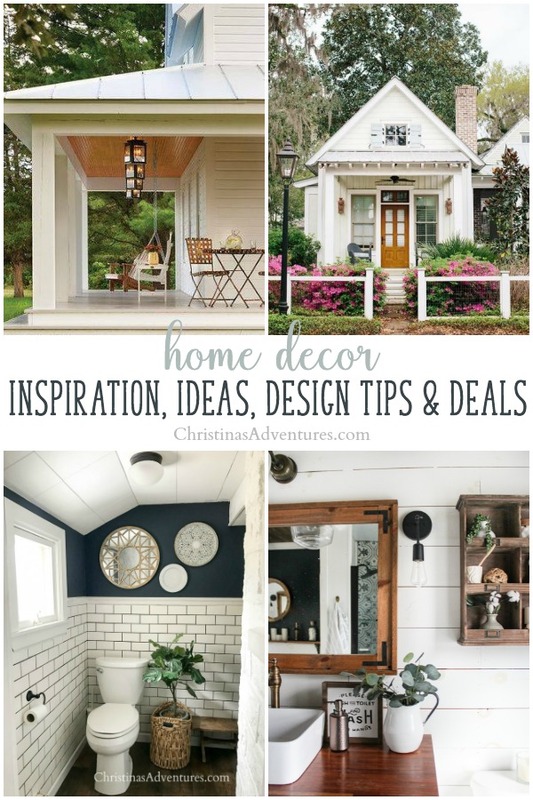 The best home decor inspiration, exterior design ideas, online shopping deals, and MORE from the past week! Come read & be inspired – affiliate links are included in this post, full disclosure here. But if you don’t want to make one – here’s a similar style you can buy. Faucet – also highly recommended! We love the weight, height & color of it. The exact ones we have aren’t sold anymore, but these are a better price and have great reviews! We did a LOT of price comparing and shopping before we bought these – use our time and research from this post before you buy your own! Stain color – we used this stain on our butcher block AND our mirror frame. It’s my absolute favorite! Paint color – all of the paint colors from this room, plus all of the paint colors from our whole house. How cute is this laundry room sign? It’s priced really well especially for how big is it! Shop it here. Finally, there’s a great sale going on right now! 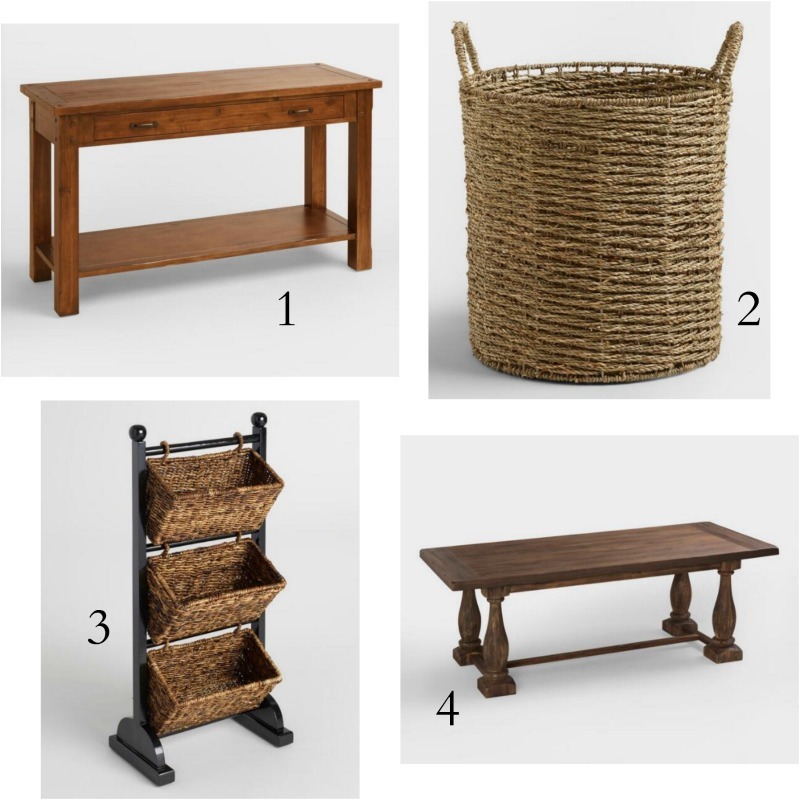 We have the console table (#1) and use the inexpensive baskets underneath (#2). I’m going to get #3 as a versatile storage piece for the kids room – maybe even another one for my office? 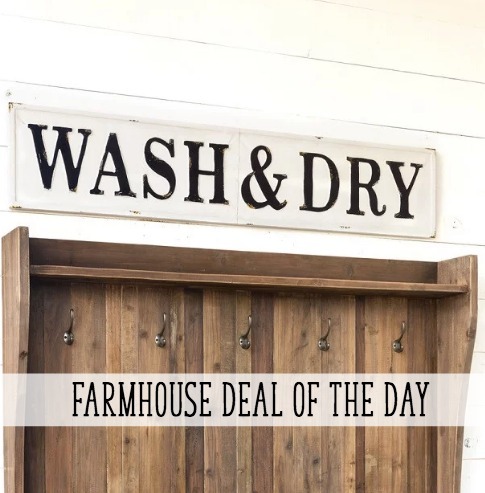 And the farmhouse dining table is a STEAL – I can’t believe how low it’s priced! It also has amazing reviews. I’ll never have a shortage of images/spaces/styles to be inspired by! Here are my favorite finds of the week – with a twist! 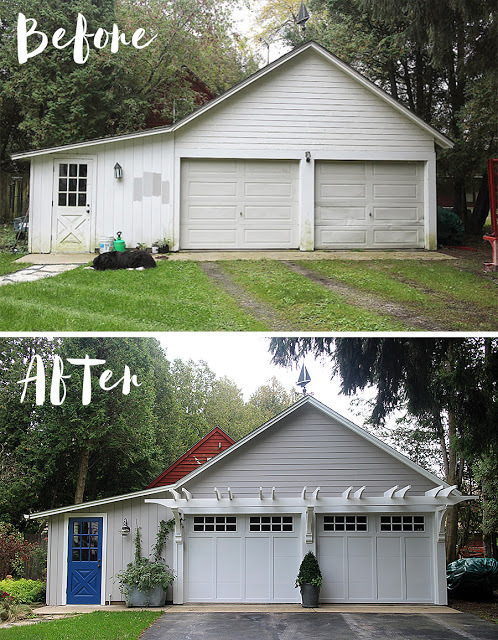 I’m SO ready for warmer weather and I’m itching to tackle our outdoor spaces before the baby comes…I’m dreaming of exteriors! Here are my favorite exterior home decor inspiration of the week. THIS PORCH. Oh my goodness! Anyone instantly feel peaceful looking at this picture? 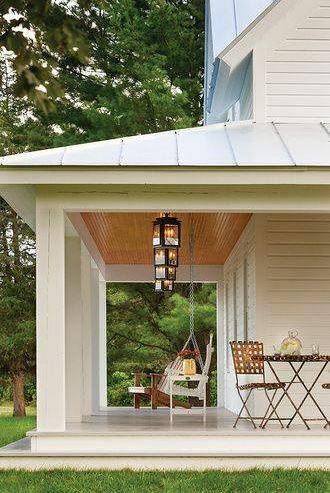 I love so much about it – the porch swing, the wood ceiling, lanterns, white columns…it’s perfection! The simple white fence looks like it’s functional AND also adds to the aesthetic of the exterior. 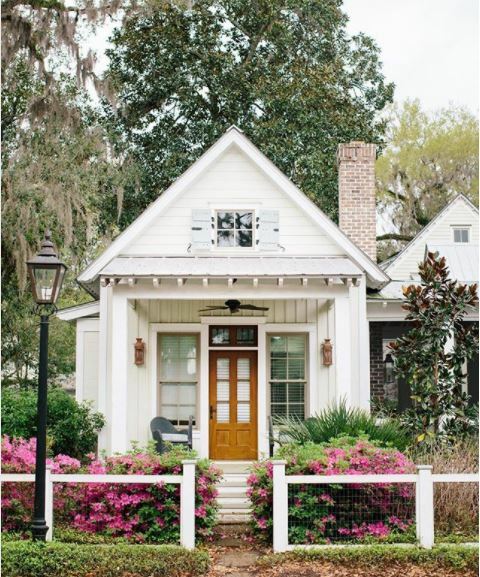 The beautiful flowering bushes help to add texture, color, and privacy to the front of this house. It also proves that smaller spaces can be even more charming than a large and sprawling home exterior. See the original source of this image here. 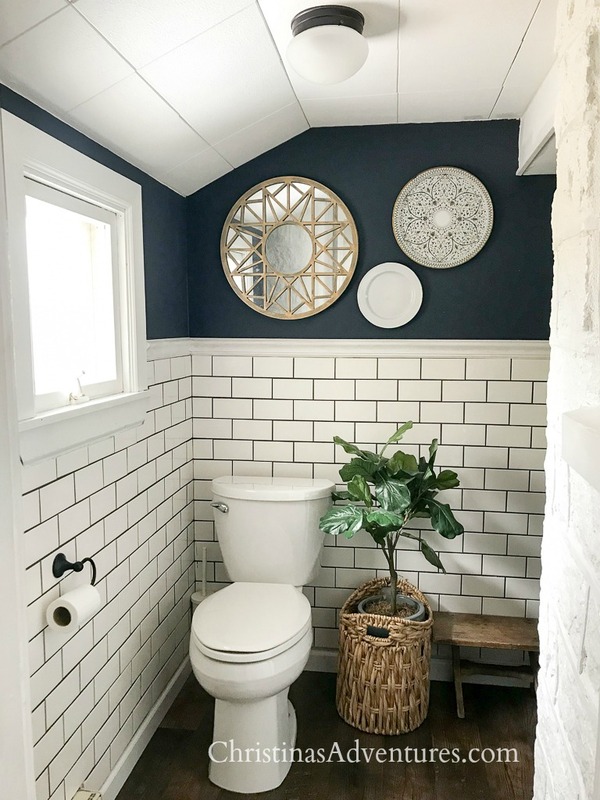 Our upstairs bathroom gets all of the attention, but this little bathroom is a hard working small space that doesn’t get enough credit! Do you remember that it used to have SALMON laminate walls and a rotted floor?! It was SO BAD. 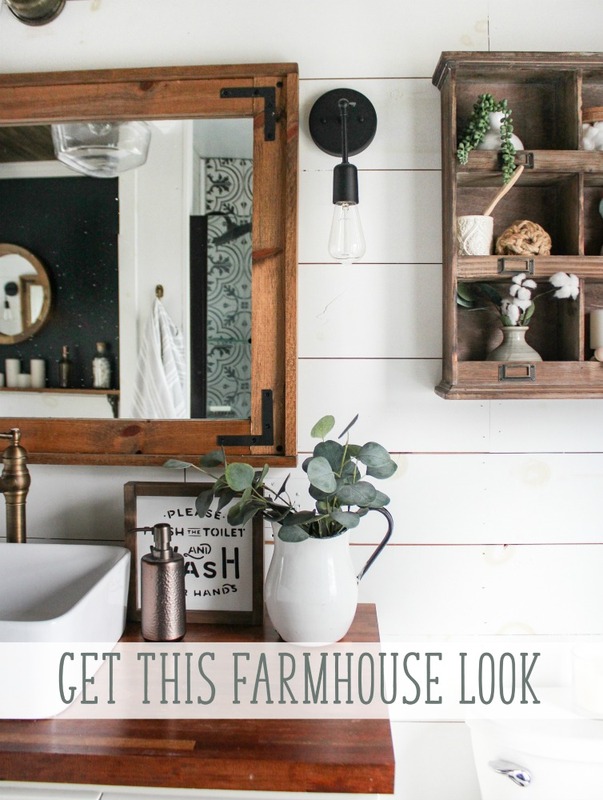 Come see the whole makeover (and source list) in this post. It’s been a busy week, but we’ve also been so cooped up inside and we can’t wait to get OUT! 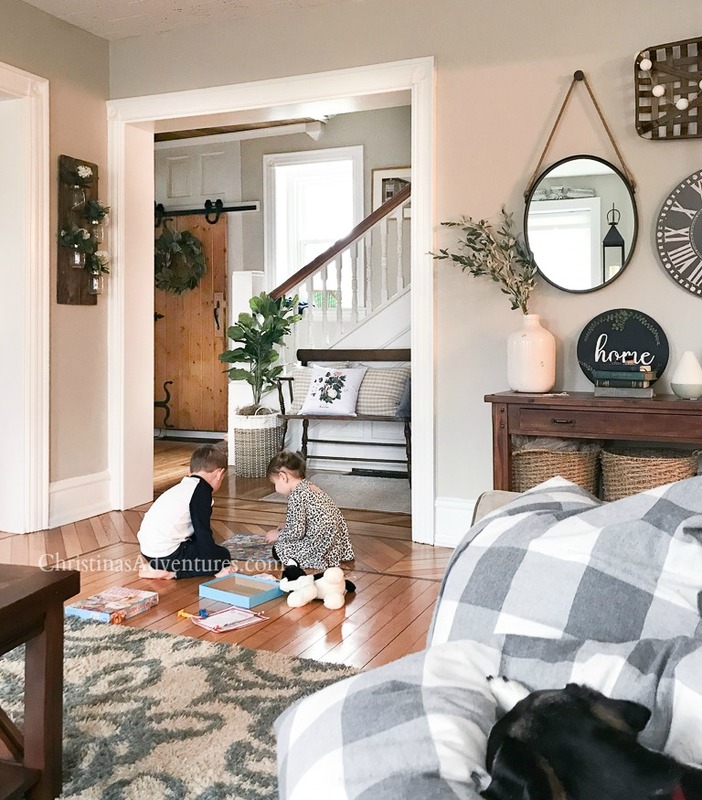 We’re really looking forward to some spring weather – in the meantime, I’m collecting all advice on how to best transition to a family of five so soon! As much as I’d love to take a BREAK from healthy eating, gestational diabetes doesn’t rest and I can’t either. Sigh. Here’s the dinners we made this week (and how we modified them). PS – all of these recipes (and a LOT more) are saved on my Pinterest boards too! Click here to follow. Keto easy cashew chicken: We love this simple recipe! It’s a little sparse on it’s own – so we add another bell pepper, some broccoli, and put it over cauliflower rice. We love the toasted cashews the best! One pot cheesy taco skillet: Such an easy and delicious weeknight dinner! Glad I found this recipe – we didn’t do much to change the recipe (just added black beans). All of us loved the recipe! Whole 30/Paleo Egg roll in a bowl: Another staple recipe lately! I used broccoli slaw to make this recipe and it tastes SO good. It’s a really simple dinner – legitimately a 15 minute meal! We added peanuts on top of ours and it was delicious. 5 ingredient slow cooker steak fajitas: Again, a great easy weeknight meal. Sense a theme yet? I followed the recipe exactly and it was great! My husband really liked this – we put it in hard taco shells and topped with tomatoes, avocados, cheddar cheese & sour cream. So good! I am SO wanting to do something with our garage area this summer! Of course we’ll be a littttle busy with a new baby – ha! So who knows if we’ll actually get around to it this summer! But here’s a makeover that’s really inspiring me to get going. See the whole makeover here. Like this post & all of the home decor ideas you’re getting from it? Please share with others & save for later by pinning it here!